When you say an airplane has disappeared in the Bermuda Triangle, people sit up and take notice. And if that airplane has recognizable names on board, they sit up even taller. An accident occurred in the Bermuda Triangle on May 15, 2017, and the NTSB released its report on October 1 of this year. It involved a Mitsubishi MU-2B that had been flying at FL240 over the Atlantic Ocean en route from Puerto Rico to Titusville, Florida. There were four people on board, and all were presumed lost. Only a few pieces of wreckage were recovered by the U.S. Coast Guard. As of the time the NTSB's report was released, there were no signs of the main wreckage, nor had any bodies been recovered. Many in the business, entertainment and fashion worlds recognized the names of the two adults on board. Jennifer Blumin, age 40, was the CEO of the Skylight Group, specializing in transforming unusual places into space for fashion shows, product introductions, photo shoots and fancy parties. Her 3-year-old and 4-year-old sons were on board. The pilot was Nathan Ulrich, age 52, a businessman and ex-husband of the Canadian film and TV actress Rae Dawn Chong, who is the daughter of comedian and actor Tommy Chong of Cheech & Chong fame. Blumin and Ulrich had been in a steady relationship. 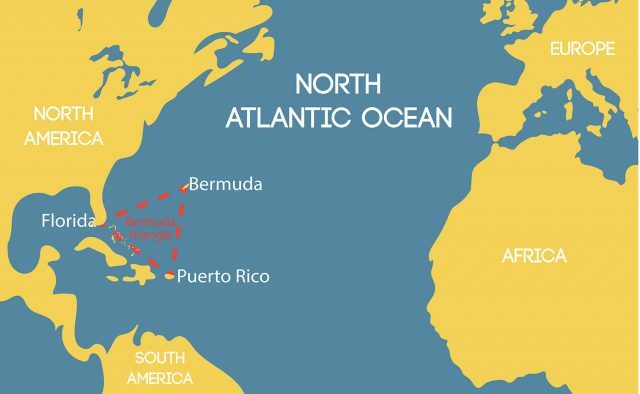 As if to dispel any notion of this being another Bermuda Triangle mystery without even mentioning that infamous territory, the NTSB stated a probable cause without equivocation. The probable cause of the accident, it said, was the pilot's intentional flight into an area of known icing and convective thunderstorm activity, which resulted in loss of control of the airplane. Pretty conclusive, yet a conclusion reached without having examined the airplane wreckage, without having the benefit of listening to a cockpit voice recorder, without having the benefit of a flight data recorder to read out, and without having the benefit of examining any bodies to look for signs of unusual trauma or asphyxiation. Yet the Safety Board investigators gathered what information they could, and the investigation proceeded to its conclusion. After all, the NTSB collectively has a wealth of experience, including with MU-2B accidents. In looking at the Safety Board's database, I counted 170 MU-2B accidents, foreign and domestic. Of those, 76 involved fatalities, with 220 people killed. That’s a lot when you take into account that during the manufacturing years of 1963 through 1986, from 700 to 800 of the aircraft were built, with different sources showing different numbers. The accident airplane was an MU-2B-40 with 10 seats that had been manufactured in 1981. The twin-engine turboprop was powered by AiResearch TPE331 series engines, each producing 904 shaft horsepower, according to FAA registration data. The airplane had undergone an annual inspection and was signed off on December 3, 2016, with a total time of 4,634.2 hours. The airplane was equipped with modern avionics, including dual ADS-B transponders, a satellite transceiver and the capability to receive and display NEXRAD weather images. In 2005, the FAA conducted a special safety study relating to MU-2B airplanes after a number of accidents. It issued a Special Federal Aviation Regulation (SFAR), which required special training for pilots. Initial training was to include at least 20 hours of ground instruction and a minimum of six hours in the airplane or a qualified simulator. In addition to requiring the pilot to complete a training course final phase check, the FAA decided an MU-2B pilot-in-command must have logged a minimum of 100 hours in multiengine airplanes before being allowed to be PIC of an MU-2B. The accident pilot had logged 1,483 total hours with 100 in MU-2B aircraft. He held a commercial certificate for single-engine and multiengine land airplanes and was instrument rated. An FAA investigator who examined the pilot's logbook reported that it appeared as if the flight time entries for two flights in a PA-34-300 aircraft used to build multiengine experience prior to his multiengine flight test had been altered to add 10 hours to the flight time. The pilot's girlfriend, Blumin, was listed as the agent for a consulting company, which was the registered owner of the aircraft. The pilot began his training in the MU-2B on January 5, 2017, at a flight training company in Tennessee. Investigators learned that Blumin rode along on many of the flights. His logbook showed 74.5 hours of training in the aircraft, which included 3.2 hours on instruments. Part of the instruction dealt with handling the airplane in icing conditions. In 2003, the FAA had issued an Airworthiness Directive requiring that all MU-2B pilots watch a video on handing the airplane in icing conditions that had been produced by Mitsubishi. The pilot viewed the video and, according to an instructor, it was stressed that the purpose of the airplane's anti-icing and deicing equipment was to protect the airplane while getting out of the icing as quickly as possible. The airplane departed the Rafael Hernández Airport at Aguadilla, Puerto Rico, at about 11 a.m. The destination was the Space Coast Regional Airport at Titusville. The takeoff was routine, and the airplane was soon at its cruise altitude of FL240. It flew essentially straight and level and at a steady airspeed on its IFR flight plan. At about 11:41, the pilot checked in with a Miami Center controller and reported level at FL240. The controller replied, “...roger, cleared direct, Piper papa india papa echo romeo, direct Titusville.” The pilot acknowledged. At 12:16:15, the pilot radioed the next controller, who failed to respond immediately. At 12:16:50, the controller radioed, “Last aircraft calling center, say again, I was off line.” The pilot checked in with his tail number, and the controller acknowledged. The controller asked the Southwest crew to relay a message to the MU-2B pilot to monitor the Miami Center frequency and try to check in again in about five minutes. Apparently, the MU-2B was in an area where two-way radio communications can be spotty. Finally, at about 12:44:42, Miami Center and the MU-2B resumed two-way radio contact. At 1:14:16, Miami Center issued a thunderstorm alert to all aircraft, advising that details about the hazardous weather information were available on Flight Service frequencies. The thunderstorms were moving from the northwest at about 10 knots and had tops to FL390. At 1:28:16, the controller told the pilot to change to “...Miami Center on one three four point eight.” The pilot acknowledged, telling the controller “...good day.” When the pilot contacted the next controller, the transmission dropped out and the controller asked the pilot to try again. There was no reply. The airplane's active target was lost from radar, but controllers weren't initially alarmed because in the area the MU-2B was going through, targets sometimes are temporarily lost. When that happens, the system generates a symbol in what's called “coast.” In this case, the target remained in coast for about 3 minutes, a sign that something was wrong. Numerous attempts by various controllers and flight crews of other aircraft to raise the MU-2B pilot were unsuccessful. The airplane had been traveling at about 300 knots and was lost from radar when it was about 37 miles east of the island of Eleuthera. At about 2:10 p.m., Miami Center notified the U.S. Coast Guard Seventh District Command Center of the missing airplane. The Coast Guard dispatched three airplanes, a helicopter and the cutter Bernard C. Webber. The Air Force sent a C-130 and a Jayhawk helicopter. Customs and Border Patrol and the Royal Bahamas Defence Force sent ships. At approximately 3:30 p.m. the following day, May 16, 2017, the crew of a Coast Guard Jayhawk helicopter located a debris field about 15 miles east of Eleuthera. A swimmer was lowered into the water to recover some of the debris. There was a fuel sheen on the water. The search continued for three days, but there was no sign of the airplane's occupants. According to the pilot's flight history, he had flown along the accident route several times during the approximately four months he had been flying the MU-2B. He received text messages with weather briefing information from a commercial service at 3:210 a.m.and 3:17 a.m. on the morning of the accident. The information provided to the pilot covered the route from Puerto Rico to Titusville and then a route from Titusville to Islip, New York. Investigators could not determine whether the pilot had received any weather updates before taking off. The NTSB did not do an extensive study of the pilot's activities in the days before the accident, especially the night before. While doing a weather briefing at 3 o'clock in the morning may lead many people to conclude that the pilot must have not had as much solid sleep as might be desirable, the Safety Board said there was insufficient evidence to determine the extent to which fatigue may have affected his ability to fly or analyze the weather conditions that likely were enveloping the aircraft. An NTSB meteorologist prepared a weather study for the flight and accident area. The study found that while the flight was in progress, a SIGMET was issued warning of frequent thunderstorms with tops to FL440 in the area where the airplane went down. Satellite images showed that the cloud tops actually did reach FL400. Reports created by the National Weather Service's Aviation Weather Center (AWC) designed to predict icing conditions showed that moderate to heavy icing was expected in the accident area and at the altitude at which the airplane was flying. Further, it indicated up to a 90 percent potential for Supercooled Large Droplets (SLD) to be present in the clouds close to where the airplane was lost from radar. The SLDs, according to upper air soundings, would likely have been present in clouds in the vicinity of the accident site between 15,000 feet and FL260. The NTSB noted that at about 2:40 p.m., a pilot report of light to moderate rime icing in the area near the accident site was received from a Boeing 737 at FL250. The Safety Board said the icing forecasts, including the SLD predictions, would have been available to the pilot via the AWC website before he took off. While the Safety Board emphasizes that the pilot's only known weather briefing was about 8 hours before takeoff, it does not speculate about whether he used the airplane's avionics or an electronic flight bag to obtain updated weather information. It does, however, focus on there being no evidence from the radar returns or communications with ATC or other pilots that he recognized there were thunderstorms and icing conditions and attempted to avoid them. Some may suggest that the NTSB should have left open a probable cause for this accident, given the paucity of physical evidence. Although icing and convective activity have, indeed, been at the core of numerous aircraft accidents, could there have been a catastrophic medical event? Or a sudden depressurization? Or a structural failure? Or a dual engine failure? Or a failed control system? Or something in combination with the weather? Or the Bermuda Triangle being its mysterious self? It's possible that, in the future, more than just the few pieces of debris that were recovered will be found and this accident will get a second look. That might serve to confirm what the NTSB concluded or take us in a very different direction. In my experience the NTSB jumps to premature conclusions. The Mitsubishi could have encountered something entirely different and no one want to question the authorities. This is really stupid. I’m not necessarily referring to the mystery of the Bermuda Triangle but pilots flying through it should be given the benefit of doubt. This sounds like another government coverup like the old Project Blue Book. I’m a long-time pilot who has seen things in the air that no one would believe… along with many airline pilots. The NTSB are the fools and the insurance companies benefit. What about the families involved. Divert to Miami and land.. you have the time and money to always fly in ideal conditions.